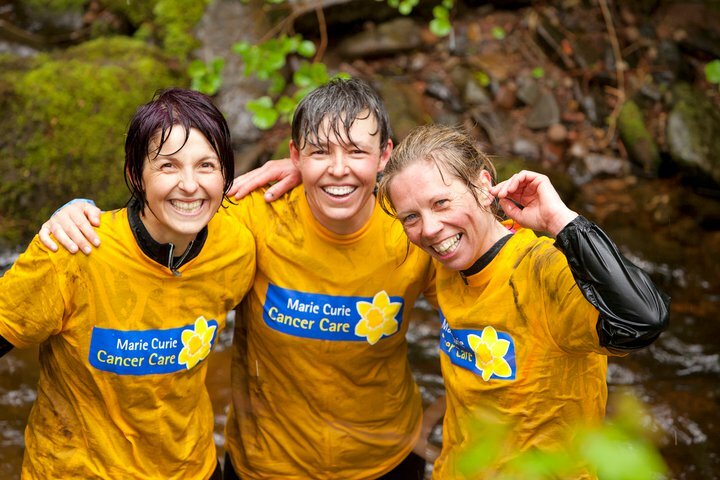 Heres a few links from the Marie Curie race event we did last weekend for pictures and comments! Last weekend was one of our biggest few days since the company began! We had three big events dotted around the UK in Balfron (Scotland), Buxton (England) and Anglesey (Wales). First up was the 3rd Whole Hog race to be hosted at Balfron on behalf of Marie Curie www.mariecurie.org.uk . The weather was particularly atrocious with strong winds and plenty of rain! All in all it was pretty tough conditions but it didnt stop the racers from getting stuck in. Once again the 12km route weaved its way up the local mountain Dumgoyne and then back down via a series of water and mud obstacles. Without a doubt the Scottish Whole Hog is one of the finest races in the country and is a serious challenge for anyone up for something different! Secondly was the Buxton Bike Ride on behalf of the Mines Advisory Group (MAG) http://www.maginternational.org/. This challenging set of rides (3 choices to pick from) all set off from Buxton and weave their way around some of the most scenic and spectacular routes in the UK. Lots of hills and a strong head wind took their toll on some of the riders but the majority battled on and finished! 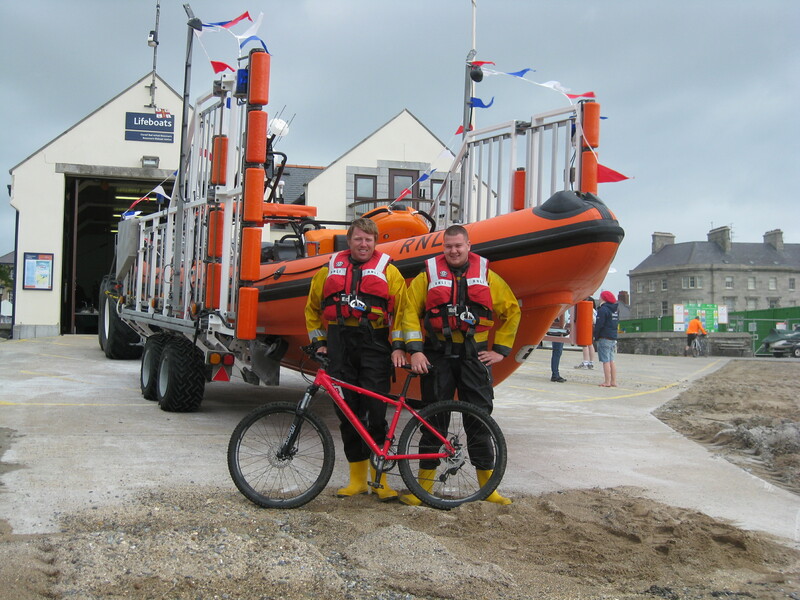 Finally, our first cycle ride with the RNLI http://www.rnli.org.uk/ took place on Sunday on the Island of Anglesey. Its a beautiful place and the two options (30 and 65 miles) both started from the town of Beaumaris and visited some of the many lifeboat stations which surround the coastline. Not so hilly as the Buxton ride but a great day out all the same! A weekend of 2 halves! It was indeed – fine weather in the South and rubbish weather in the North. Saturday was fine and sunny for the first day of the Marie Curies Yorkshire 3 Peaks – we oversea this event for Marie Curie with the aid of local amateur radio operators Raynet. We had around 350 people complete the challenge on Saturday in what was outstanding weather! Sunday was an altogether different day! Once again we were back in Horton for the 2nd day of the Marie Curie Yorkshire 3 Peaks weekend. With around 160 people setting off in what was ok weather things quickly changed and by 2pm it was very windy and wet with hail reported above 300m around Whernside! We had to deal with a casualty who was out on the walk independently of Marie Curie and the Mountain rescue team had to be called to remove the lady from the side of the mountain! It was quite eventful and the weather was getting worse so we had to make the difficult decision to cancel the event which meant a hectic few hours getting eveyone back to Horton! Most people were quite releived as the weather was foul. Well done to all those people who took part! In London, however, the weather was stunning with the guys returning to the office on Monday with red faces (sunburn)! We ran an abseil for Kings College along with an open event of our own – the charities involved were: Kings College Hospital, NRAS, Foundation For Life, Voluntary Care Centre, SANDS, Cats Protection League and the Gorillas Organisation!